It’s Friday before a 3 day weekend. All is right with the world. YAY! So here’s a heaping helping of Rumpy Dog to make your day. « If It Was a Snake it Woulda Bit You? Hehehe whee love those. Whee particularly love the first one. Whee often run out of ideas to explain the things whee do! yes, gimme that cookie! Yoiu are the cutest cookie-saurus ever! Anyone would think you liked cookies, Rumpy!! I can take ’em or leave ’em…… but I prefer to take ’em! She thinks I’m cute! Awwwww……. 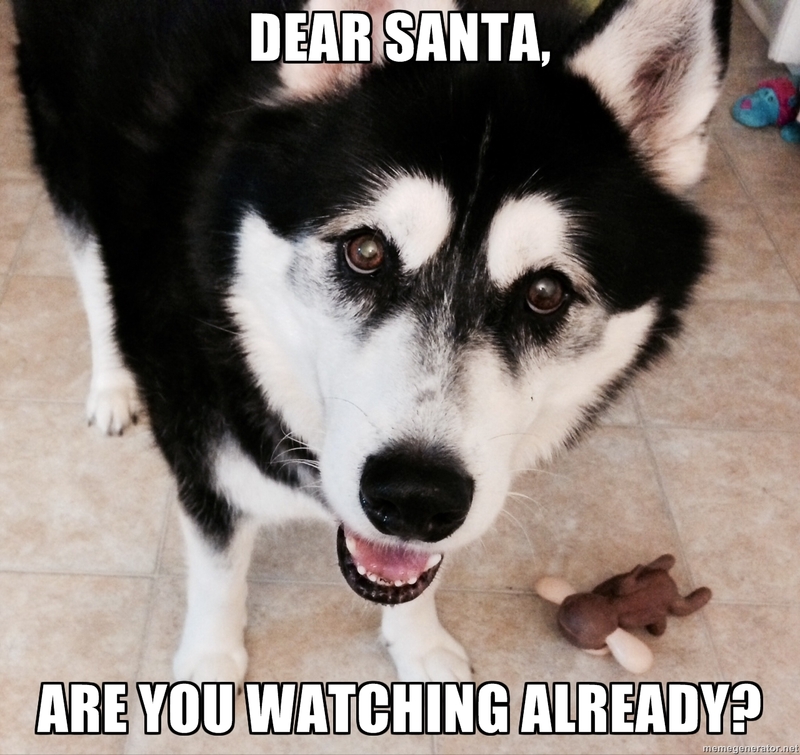 haha – buddy I’m sure Santa will do just dat. 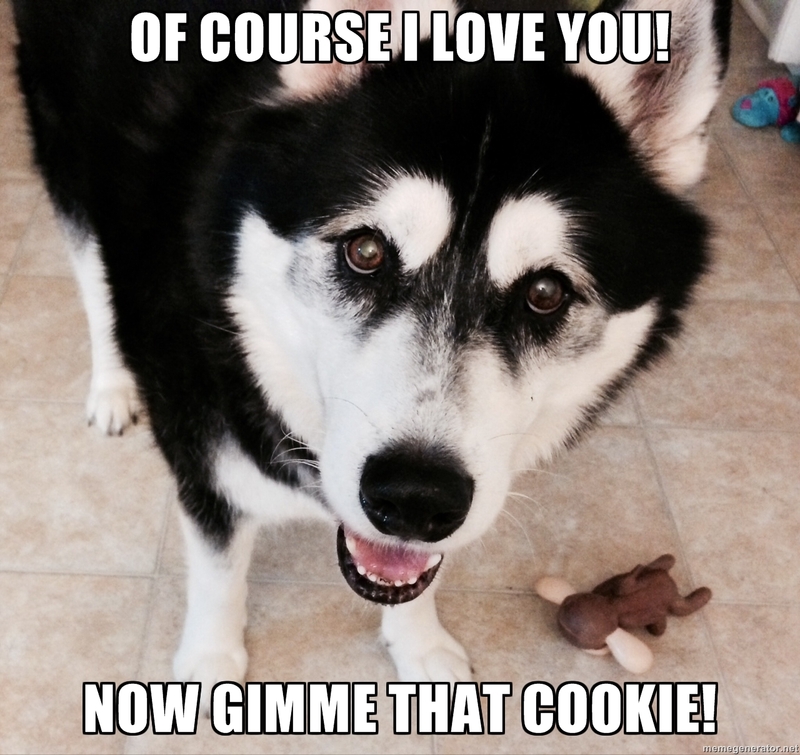 Your eyes are magical so he’ll give you the cookie. Funny you want cookies today right when I have some on offer. Dig in! 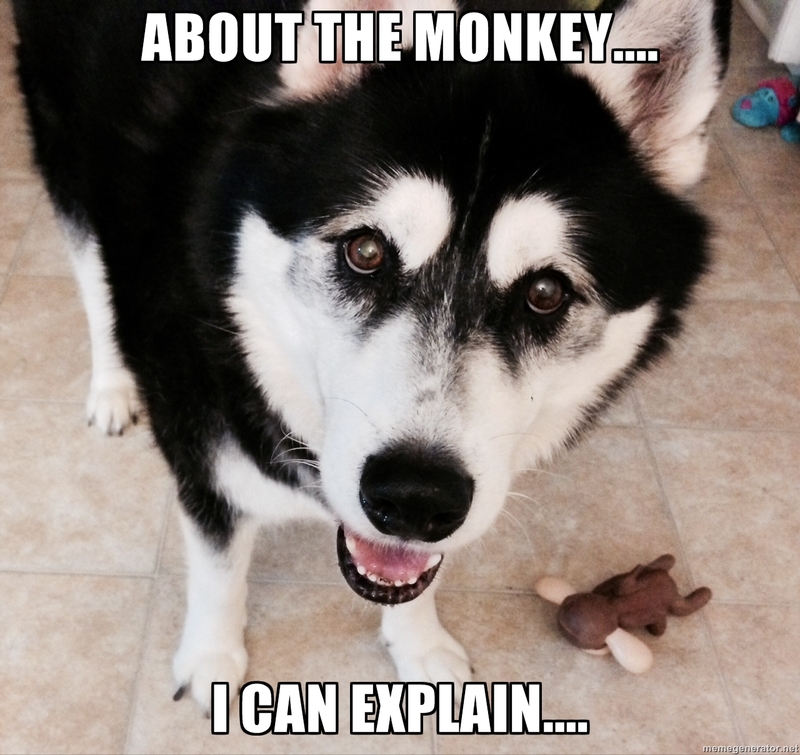 I’m waiting to hear about that Monkey! I’m sure many dog rescue groups would be happy to work with you! Didn’t get to see this post until today (Monday), but I always enjoy the chuckles. Thanks, Rumpy.